Arthur J. Gallagher & Co. has acquired Meridian One in Alexandra, VA – an administrator of affinity member benefit programs. Meridian One, founded in 1986, serves more than 600 professional and trade associations across the United States and Canada. The member benefits Meridian provides include insurance programs, discounts (on travel, office equipment and supplies), appliances, audio and web conferencing, shipping, and vehicle rentals. As part of the transaction, Meridian One CEO Richard Sullivan, as well as president and COO Mickey Herbert and their associates, will continue to operate from their current location. They will be under the direction of Gallagher North America affinity operations head Kevin Garvin. “Meridian One’s outstanding association client base and breadth of member solutions make them a great fit for our expanding Affinity segment,” said Gallagher chairman, president, and CEO J. Patrick Gallagher, Jr.
Gallagher has been busy in the M&A space these past few weeks. Earlier this month, Gallagher snapped up the PA-based The Walsh Agency, d.b.a. BEAM Insurance. 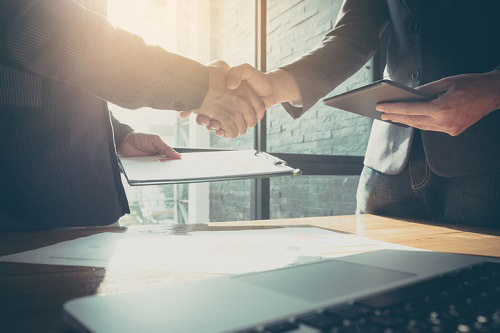 Just a week before that, the global insurance brokerage also acquired Richter International Consulting in Washington state. And another week before that deal, Gallagher bought out Tyler Insurance Agency, a P&C and risk management firm in California.